CATERWARE understands the challenges and needs of a catering business, and has translated those needs into industry-leading products and services targeted to make each of you more efficient, profitable and client responsive. Are you looking to become more efficient, profitable and customer responsive? CATERWARE is performance management software designed by caterers and software development leaders as a total solution for catering professionals seeking these improvements in their businesses. Designed for the needs of the off-premise operation, Classic offers all of the same great features as OnSite, without the Venue Reservations Module. 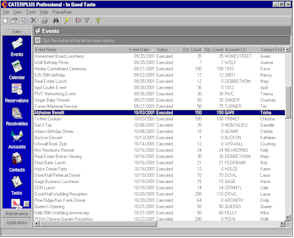 These same CATERWARE versions are available in a tiered, client-server application, making the most of your staff resources. CATERWARE for networks is extremely reliable on either a peer-to-peer network or dedicated server environment. 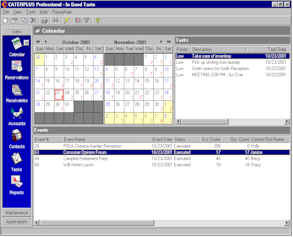 CATERWARE Inc is an authorized reseller and integration partner with Timesaver Software and their Room Viewer� Pro Suite. 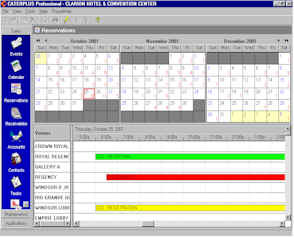 TimeSaver is the leading supplier of event layout software, providing accurate professional-looking diagrams for meeting planners, facilities, caterers, special event planners, rental companies, production and audio-visual companies. Their Room Viewer� products provide quick, easy and cost-effective ways to prepare your event diagrams.